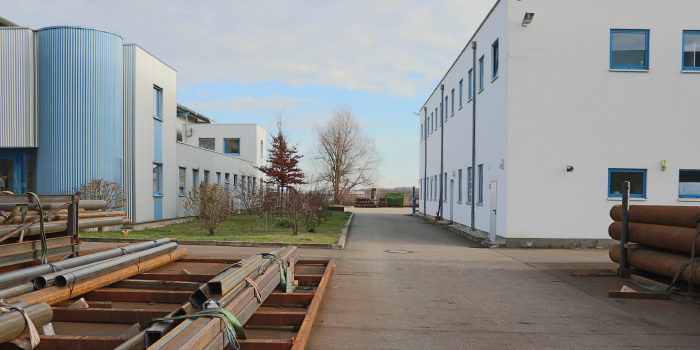 ZIS Industrietechnik GmbH is the specialist for cutting tubes, profiles and thick metal plates. Based on our proprietary development of CNC-machines and machine programming software, we are capable of producing highly complex three-dimensional contours using milling, plasma or oxyfuel cutting. 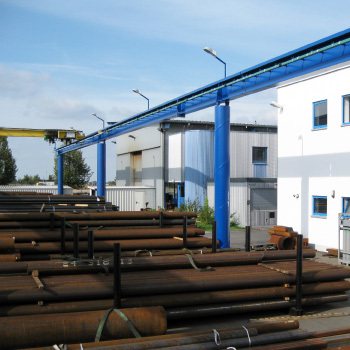 As cutting service providers we supply customers in the fields of steel construction, crane construction, plant construction, machine construction as well as offshore wind energy throughout Europe with accurately profiled parts. The continuous training and qualification of our employees is essential to supplying profound knowledge about industry-sector-specific requirements and regulations (e.g. material traceability, welding preparation design). Therefore, our customers can reduce welding time and volume, avoid rework and achieve inspection reliable welds. With our portable CNC-machines we are able to work on site – at the customers shop floor or the construction site – to reduce logistics and transportation costs. Our experience in the field of machine design and construction, software development and cutting technology allows us to support our customers in solving their cutting problems. We can go as far as designing and building suitable machines and equipment and delivering corresponding software. We are an owner-managed family business. In our eyes a successful relationship to our clients is always built on fairness, trust and reliability. Based on a well-founded technical requirement analysis, we develop custom-made solutions for our clients. Besides a high technical level, our main assets are longevity, sustainability and professionalism. The trustful, cooperative collaboration with our customers is more important than a short-run result.